Not every tech purchase can be a more-than-satisfactory home run and many of us will have gadgets and gizmos stashed away in cupboards and pockets that we don't like to own up to, whether that's because of company reputation, device function or some other reason. We're always bringing you a steady supply of top tech round-ups and so to provide balance here's a list of kit that's less than stellar. If you happen to have one of these gadgets in your possession it might be best just to quietly sell it on eBay... under a fake name, of course. Try as it might, Microsoft just hasn't been able to turn the fortunes of Windows Phone around - and it doesn't look like Windows 10 Mobile is going to move the needle on that any time soon. In many ways it's a shame, because the Lumia line is for the most part well-built and reliable, and the handsets usually bring fantastic cameras to the party too. The big downside has always been the app selection, and unless you're particularly invested in Windows software (Office, Outlook and so on) then iOS and Android are much more appealing. Can you remember the last time someone took out their brand new Windows Phone handset to show off to present company? No, nor can we. It's not that Glass is a bad product per se, but the now-discontinued (and soon to be re-launched) augmented reality headset is embarrassing for its owners for a number of reasons: it costs too much, it makes you look smug and superior, and it tends to give off the impression that you're constantly spying on everyone around you. If that wasn't bad enough, it started giving some people headaches too. 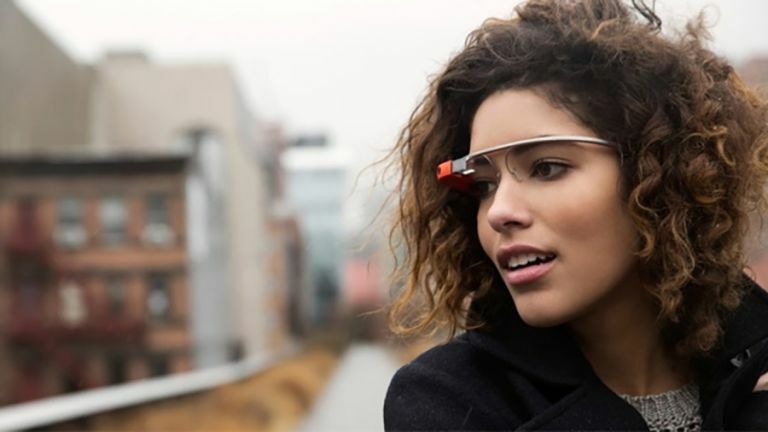 Nowadays walking down the road wearing Google Glass is likely to attract a mugging rather than envious looks - but your assailants won't bother taking the bounty with them afterwards. Let's hope Google's next attempt at a next-generation wearable fares a lot better than this one did. There's just no way to make these ridiculous dongles look cool - answering a call with a device shoved in your ear may be convenient and safe (especially while driving) but it makes you look like you've just arrived from the 1980s. A pair of sensible-looking headphones with a microphone attached in the cord is a much better (and more fashionable) proposition. Still, these gadgets continue to exist, and not just among the employees of taxi firms. Don't be that guy (or gal) walking through the train station looking as though you're talking to yourself: we know you're on the line to Domino's rather than your accountant. Another cringe-worthy bit of kit that we suspect most users would be wary of owning up to buying. It can certainly get you from point A to point B but you're in danger of getting laughed off the street if you try and tootle around town with a Segway, great engineering and build quality notwithstanding. The fact that you really should be wearing a helmet while you're driving one doesn't really add to the appeal either, even if it does keep you safe. We've never seen anyone boasting about owning a Segway down at the local pub and we suspect that we never will - these transport gadgets are more suitable for mall supervisors and police officers rather than the general public. Still, if you are a current Segway owner, we have to admire your bravado in going out and buying one in the first place. Still hanging on to those worn-out Miss Marple videos? Nothing says stuck in the past like a VHS player, and if you've not already digitised your home movie collection then it should go straight to the top of your to do list. You don't see many of these around any more, probably because they've been hidden under stairs and at the back of wardrobes. We have to give VHS players their dues though: they were cutting edge tech for their time, fought off the challenge of Sony Betamax, and changed television viewing habits in the home for good. In an age of Netflix and iTunes, however, VHS' time has come and gone - get rid of your old player and put something far more useful and modern in its place. There weren't many people who bought into BlackBerry's vision of tablet computing, but they are out there - in fact at this stage buying any tablet that isn't an iPad is a somewhat shameful decision. Few tablets have sunk quite as swiftly as the PlayBook did, however, and if you picked one up in the past we can't imagine why you're still hanging on to it. If we were being really harsh we could include BlackBerry phones as well, but we think the company's well-built handsets are going to benefit from the recent switch to Android. The PlayBook is definitely beyond salvation though, and if there are some of these tablets still knocking around they're unlikely to be proudly on display in the living room.